Comfort: While wearing a cute costume is a big part of the appeal of Halloween, comfort is just as important as appearance. 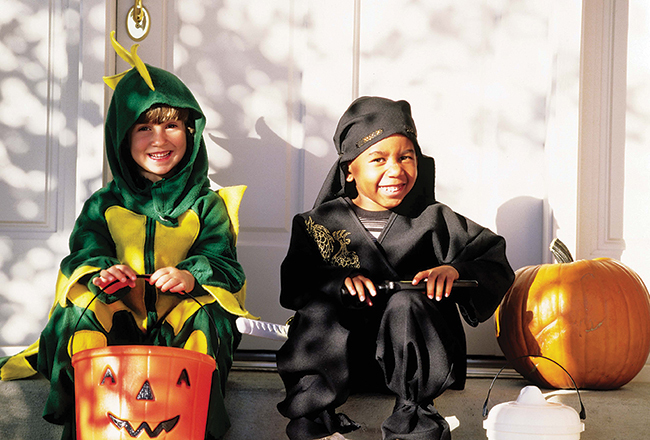 Kids will enjoy their trick-or-treating experience a lot more if they can move easily and if they’re not too hot or cold. Avoiding itchy material is always a good idea as well. Visibility: An elaborate mask may be appealing, but make sure your little one can see where they’re walking! Also important: make sure others can see your trick-or-treater in the low light. Glow sticks, reflective tape, flashlights and sparkling wands are all good options. Ease of use: Bathroom breaks are much easier in costumes with a simple way in and out. Having trouble coming up with costume ideas? Pinterest is a good place to start! No crystal ball required; just a little forethought! Eat dinner first: Hungry ghouls and goblins can be monstrously cranky (and prone to candy snacking!). A good meal before your trick-or-treating trek will keep everyone’s spirits up. Route well: It’s not necessary to visit every house on your block. Skip a stop if you don’t think your child will react well to its scary decorations or startling sound effects. You might also bypass homes with poorly lit paths, tripping hazards or stairs too steep for little legs. Depending on your child’s attention span and stamina, a decorated stroller may be useful. Bring creature comforts: Sometimes a spare jacket or a bottle of water could be what keeps your toddler from an early trip home. Children add a new dimension of wonder to holiday experiences. While it’s easy to get wrapped up in your own plans for the night, setting realistic expectations can help you minimize stress for everyone involved. If you have a certain curfew in mind or don’t want to allow unlimited candy access after trick-or-treating, it’s best to set the rules before the goodies are in hand. Baby Instructions: Trick or treating with babies and toddlers? You decide! 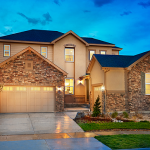 What Down Payment is Needed for an FHA Loan?